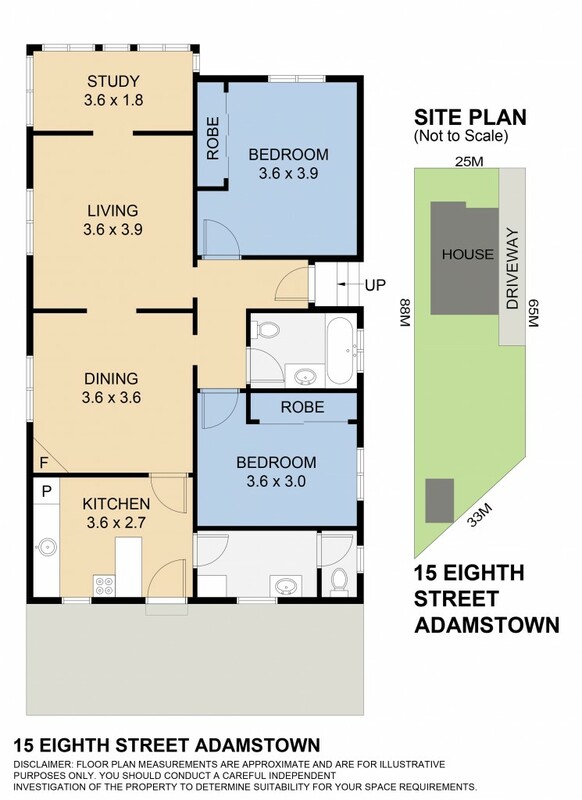 "DONT MISS OUT ON THIS OPPORTUNITY"
This two bedroom home features a great sized 472sqm level block and offers an amazing list of features that will be sure to impress. Featuring timber flooring, down-lights and high ornate ceilings throughout, upon entering you will walk into the master hallway of which leads to the master bedroom to the right. Offering built-ins, ceiling fans and impressive lighting, the master bedroom is spacious and inviting. Leading from the master you will enter the formal lounge room. Offering a great size room, the lounge is equipped with a split system Air-conditioner as well as ceiling fan. You will then be greeted to the home office to the front of the lounge room. This area is practical and great for any professional or it can be converted to a games room for the children. The dining room (off the lounge room) offers a fireplace as well as plenty of table room for guests. The area is filled with natural light and is a stand out feature area of the home. There is a petitioned doorway separating the lounge and dining areas of which can be used to enclose both areas. The tiled bathroom offers toilet and combined bath / shower facilities. The second Bedroom is of good size and offers a built-in and ceiling fan. The original kitchen is where you create this house your home. Left original, you have the opportunity to utilise a great area to compliment the rest of the home. The options are endless. There is also an internal laundry and second WC. The laundry offers a great size with room to add further storage. Outside the property offers side access and fully fenced yards. There is fencing separating the front yard to the back of which can be opened for access. There is also a back patio and garden shed. You will find that a new driveway has been laid with plenty of room for a carport and or a garage to the rear. The back yard is big enough for additions including renovation and decking (STCA).